The BREAK THE CHAINS Campaign has begun. 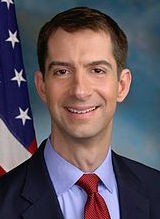 Sen. Cotton would stop all of that Chain immigration which adds millions of workers each decade without any regard to their skills or how they would affect Americans competing in the same occupations. It was in 1996 that I started NumbersUSA with our Number One legislative goal being to end Chain Migration, as recommended by the bi-partisan federal commission chaired by the Civil Rights icon Barbara Jordan. For over a quarter century, the United States has accepted an average of 1 million immigrants annually--the equivalent of adding the entire state of Montana each year. Wages for Americans with only high school diplomas have declined by 2 percent since the late 1970s, and for those who didn't finish high school, they have declined by nearly 20 percent. This collapse in wages threatens to create a near permanent underclass for whom the American Dream is always just out of reach. Friends, the difference in this being a wonderful BILL and it being an incredibly helpful LAW is likely to be the degree to which the 8 million members of NumbersUSA's online grassroots army makes it clear to their Members of Congress and to Pres. Trump that this is a true priority. The Hillsboro City Council has decided to stall a decision on whether to declare itself a sanctuary city until after the new mayor and councilors get sworn in. In a standing-room-only Civic Center auditorium Tuesday night, council members could not reach a decision whether to designate the city a sanctuary for undocumented immigrants. The decision would have been the last of outgoing City Councilor Olga Acuna, who requested the vote after advocates begged the city to strengthen its stand with the Latino community last month. In what was likely the council's most difficult decision in eight years, the council voted to table a final decision until after a new councilor is appointed to fill the seat of new Mayor Steve Callaway, who served as council president. The city is expected to appoint a replacement on the council within the next month. Tuesday's vote was 4-2, with councilors Acuna and Kyle Allen in favor of going forward with the sanctuary city designation. "I'm as concerned about the future as anyone," explained Councilor Rick Van Beveren, who noted his personal regret at how the recent presidential campaign rhetoric has engendered the national Latino population. "(But) I personally align with what sanctuary city portends … (and) once we're labeled, that's it." Callaway, who was sworn in as mayor during Tuesday's meeting, said that the postponement will allow the new council — which will oversee and adhere to the decision — time to understand what a sanctuary designation will mean for Hillsboro going forward. The decision to wait will also gives the city time to see how the federal government responds to the many cities who have made similar declarations, Callaway said. President-Elect Donald Trump has said that he would cut off federal funding for cities that declare themselves to be sanctuaries. "Sanctuary city" is a legally non-binding term used by cities to indicate they will protect undocumented immigrants from deportation. Oregon has had sanctuary laws in place since the 1980s, which forbid police from arresting people solely on their immigration status. The topic of making Hillsboro a sanctuary city first arose in December, when members from community action groups WashCo Solidarity and Voz Hispana Cambio Comunitario demanded the council declare the city a sanctuary in order to send a message to Latino residents that they will be protected, specifically from immigration officials. Instead, that night the council read a statement affirming its commitment to keeping Hillsboro "a safe city for all" — without formally declaring itself a sanctuary. That decision didn't sit well with sanctuary proponents. On Tuesday, more than 20 people spoke out, offering testimonials to the council as to why the designation is needed. "The community wouldn't be asking for sanctuary if the city was safe already," Unite Oregon member Carmen Madrid told the council. That sentiment was echoed by many in the crowd. One woman said she had lived in the city for 15 years, but no longer felt safe. "You're either for us or against us," another speaker said. Resident Jose Jaime told the council that stalling the decision was sending a message of its own to Hillsboro's Latino population, which make up about a quarter of the city's population, according to the U.S. Census. "You threw the Latino community under the bus (with the vote to table)," he said. Not everyone in the audience was in favor of the proposal, however. Some spoke out against accepting illegal immigration as standard practice. One speaker said he was against the sanctuary designation because "the people who are afraid are breaking the law." "If the council vindicates (the law breakers), you'll be breaking the oath you just took," he told the council. The council is expected to vote on the issue in February. The city is currently accepting applications to fill the council's open seat. Hillary Clinton is for an entire Western Hemisphere of open borders, free travel with no restrictions as to identity or the numbers of people entering these countries, including the U.S. She wants a mirror image of the European Common Market. It is estimated up to 600 million people could freely migrate here. Donald Trump is for completely closed borders with strict limitations and extreme vetting on who and how many people are allowed to enter the U.S. He is soundly opposed to the European Common Market concept. Hillary Clinton is opposed to substantially increasing the size and strength of the U. S. Military forces. This in its self means a weaker military presence in the world. She, like Obama, doesn’t believe we should be a dominant military power. Donald Trump is in favor of substantially increasing both the size and strength of the U.S. Military forces. This would be restoring us to the strongest military presence in the world. He, like Ronald Reagan, believes we should be a dominant military power. The Military is in the worse possible position since WWI. Hillary Clinton plans to substantially increase Federal Income Taxes on both individuals and all businesses, large and small, and increase the inheritance tax rate to 65% of what someone, upon their death, leaves to their children or family. Increase the number of brackets to eight. Donald Trump plans to substantially lower taxes on all individuals and all businesses, large and small, and totally eliminate the inheritance tax all together on what someone, upon their death, leaves to their children or family. Decrease the number of brackets to three. Hillary Clinton has stated she has no desire to open any of our trade agreements with foreign nations to renegotiation. She is satisfied with NAFTA (North American Free Trade Agreement) in spite of an $800 Billion dollar trade deficit with our trading countries, and is in favor of the TPP (Trans Pacific Partnership). She believes NAFTA has boosted the American economy, in spite of a terribly slow and sluggish economy with over 95 million American workers having left the work force because there are no jobs available to them. She wants to continue the same policies. Donald Trump has stated he wants to open our current trade agreements and renegotiate the terms of those agreements and make them more fair for the U.S. He is very unsatisfied with NAFTA and will not sign on to the TPP without further negotiations. He believes NAFTA has destroyed American manufacturing jobs and greatly weakened our economy. He sites the huge trade deficit and so many leaving the work force as evidence of it. He wants to put plans into motion that will halt American Companies from leaving this country and bring those back which have left. Hillary Clinton wants to appoint judges who will make rulings that will be more in line with modern day Liberal and Progressive ways of thinking, possibly infringing on the right to bear arms, the right to free speech, and religion (especially Catholics and Evangelicals) being targets of change. Donald Trump wants to appoint judges who will follow the Constitution strictly. The right of citizens to own guns, speak freely in all matters, and freedom of worship will not be infringed. Hillary Clinton wants to leave Common Core in tact and is opposed to school choice. She wants local school boards to teach what they are directed to teach by Common Core Standards, and parents send their children to the schools they are directed to, eliminating school competition. Donald Trump wants to eliminate Common Core and is in favor of school choice. He wants to return all school subject content selection to the states and local school boards, and parents can send their children to the school of their choice, creating school competition. Hillary Clinton wants to keep, as is, what is referred to as Obamacare, expand upon it and finally morph it into a national government paid and managed medical system with no competition, much like Canada. Donald Trump wants to completely repeal Obamacare and have it replaced with a free market medical system, eliminating the regulation restricting insurance companies to certain states, allowing them to sell nationwide, creating fierce competition. Remember Ronald Reagan’s words. You are the driver. Which of the roads above do you wish to travel and how fast do you want to drive? You are leaving the driveway and MUST turn right or left. Your decision can’t be delayed any longer, a choice has to be made. Does it seem like our country is coming completely unraveled with the lack of enforcement of our immigration laws? Everyday we hear another story more horrific than the day before - murders, drugs, gangs, ID theft, tax fraud and even American citizens being laid off their jobs only to be replaced by VISA workers - which they are required to train - and the list goes on and on. American citizens are continually being thrown under the bus, so that politicians can flood the country with low-skill, cheap labor supposedly with the potential of a big, future voting block. Businesses that rely on cheap, illegal labor or even the excessive use of VISA workers have apparently bought off our elected officials and convinced them this is the only way to go. Meanwhile, citizens get to enjoy being displaced from jobs at all skill levels and even get to pay excessive taxes to support overwhelmed entitlement programs and over-crowded classrooms. Our need for evermore housing is causing an environmental creep that is sickening to watch as cheap apartment complexes and ticky-tacky housing developments swallow up our beautiful farmland. Do you have something to say? Get it off your chest in a Letter to the Editor. Elected officials do read them - although it wouldn't seem so. So - we need to write even more letters to the editor like these collected from across the country. Re: “Obama actions split high court” [Front page, April 19]: You need to look no further than the two quotes the Register published on the Supreme Court’s recent hearing of Obama’s executive action on illegal immigrants. The Supreme Court’s sole job is to interpret the laws. Justice Kennedy gets it when he identifies the issue as whether Obama has used his executive power to usurp Congress’ constitutional authority to make the laws. On the other hand, liberal activist Justice Sotomayor focuses on the economic impact of illegal immigrants, which has nothing to do with the issue of executive overreach. This is why it is so critical to get a Republican president in November so we can get a new justice who knows their constitutional duty, and will follow it. Once again the president has over-stepped laws and we need the Supreme Court to make a ruling. I can only pray the court has the wisdom to do what is right for our country and not businesses and immigrant rights organizations that are willing to overlook our laws. I cannot see the good in allowing people to break our laws to come here and when they are caught say, “I only want a better life” or “my children were born here.” The parents made the choice to break the law – period. According to the Register, the court decision will affect 3.5 million people. These are people we must help with food, health care and education, just to name a few freebies. How many of the jobs they do could be done by our returning servicemen and women? Wouldn’t it be better to spend the money we spend on the illegals on our deserving service men and women? We shouldn’t need organizations like Robin Hvidston’s “We the People Rising” to protest the injustice of our broken immigration laws. We do not need more laws for the president to ignore, we need to enforce the laws we have. If you start taking the illegals’ cases one by one, we will never solve this problem and they will just keep coming. Secure our border and enforce our laws. Problem solved. I must take some exception to your statement in regard to the applicability of the rules in question and under review with the Supreme Court. You state that these rules could affect about 100,000 people in Orange County. The main article states that this affects close to 4 million people. I disagree with both counts. This issue affects more than 300 million people, all living here in the United States. Immigration, legal or otherwise, impacts all of us. It particularly impacts us all in a negative way when current laws are ignored and the government goes out of its way to provide for those who have chosen to break our laws. People make choices that they must deal with. If I choose to not pay federal income taxes, there will be ramifications as a result of that choice that affect me and my family. I do not expect a pass. But executive orders at a federal level and state drivers licenses and Medi-Cal coverage only undermine our ability to discourage illegal immigration and to adequately manage and balance legal immigration. Months before a presidential election, Obama’s executive order for deferring deportation of approximately 4 million illegal immigrants without criminal records, but with lawfully resident children and allowing them to work, obtain driver’s licenses, gain entrance into Social Security with other welfare benefits, is before the Supreme Court. The plan was first introduced just after the House of Representatives declined a Senate-passed immigration update in 2014. Congress had (restructured) work permits and benefits as a deterrent to unlawful immigration, whereas the administration appeared to be an enabler inciting further transgressions. This was egregious in that it inferred the parents of citizen children were using their children as illegal pawns to gain lawful admittance for themselves. Contrary to what some people may think, there is a difference between the Berlin Wall at which President Reagan said “Mr. Gorbachev, tear down that wall” and the wall that Mr. Trump wants to build along our southern border. The Berlin Wall was built by communist East Germany to keep their people from escaping. Trump wants a wall to keep people out that want to come here illegally. I agree with Trump — stringent action must be taken to stop the flow of illegal aliens coming in. A study published by the Center for Immigration Studies reports 61 million immigrants and their American-born minor children living in the United States. Between 1970 and 2015, the proportion of immigrants to population increased by 353 percent — six times faster than the general U.S. population, which grew by 59 percent. Some states watched their numbers of immigrants rise much more steeply: in Georgia, 3,058 percent; in Virginia, 1,150 percent; and in Texas, 1,084 percent. The immigration issue isn’t simply about numbers. It’s whether the nation will remain moored to its founding values or be transformed into a place unrecognizable. A majority of Americans understands that an American identity cannot survive open borders. The liberal aim is to eliminate all vestiges of America’s heritage to establish a new nation easily integrated into a global village without borders (Washington Times, March 14). Europe is reaping the results of its “open door” immigration policy. Will Americans have the same harvest? I have to agree with a recent letter writer. There is a very high level of unemployment in this area. How about 20-30 percent? Since growers feel a need to import more workers, why doesn't the grower build near his own house? Because he doesn't want to turn his neighborhood into a slum. If you bring a couple hundred either illegal or legal, unskilled, single guys in, it will become a slum. This concerns the all-important issue on immigration. Yes, there always are two sides but I’ll give the side why illegal immigration is not in American interests — just use some common sense here. I believe the United States is admitting some 250,000 Muslim immigrants each year. President Barack Obama is allowing Syrian refugees by the thousands into America, despite the fact that it is impossible to check those with sinister plans of terrorism, for example. Sen. John McCain should be exposed for being a leading supporter of the policies that brought on the refugee crisis. Obama and EU leaders are fully aware of what brought on a refugee crisis in the Middle East. They are playing on the compassion for the refugee civilians (children included), a situation brought on by the “globalists.” The bottom line is, illegal immigration is a threat to Western civilization. Third-party presence is needed in the U.S. The corruption that permeates our political parties is on display this primary season. On the Democrat side, it doesn’t matter how many votes Sen. Bernie Sanders, D-Vt., amasses; the super delegates will ensure Hillary Clinton gets the nomination. Everyone knows it. Similar shenanigans are happening on the right with Donald Trump. Only difference is Sanders is willing to eat the dirt sandwich being handed to him by party elites. He will take one for the team, but Trump won’t. He continues to expose the Republican Party corruption, and because of that, and his desire to take its cheap labor and free trade deals away, the party apparatchiks despise him. Is our political system salvageable, or is it too far gone? Many would say it’s too far gone, that short of another American Revolution, we are doomed to deal with these two corrupt entities. I think the presence of a strong third party — a party that would appeal to disaffected Democrats and Republicans — is what’s needed. Not the lunatic fringes of either party, but thoughtful Democrats and Republicans who are sick and tired of holding their noses while voting for the latest pathetic candidate their party has trotted out for them. 1. Borders. Open borders are a security and economic nightmare. Our borders must be secured by whatever means necessary — walls, drones, satellites, border patrol, National Guard, etc. Sanctuary cities are unacceptable. Local politicians and law enforcement who refuse to cooperate with the feds will be dealt with harshly, as will businesses that employ illegal aliens. 2. Immigration. Ninety-three million Americans are out of the workforce. Many are looking for work, many have given up. Accordingly, there will be a moratorium on new immigration for five years, at which point the issue will be revisited. When the time comes, potential immigrants will need to be free of communicable diseases, be able to make a case that they will be an asset to our nation and be prepared to learn English. 3. Trade. No more trade deals that benefit big business and/or foreign countries at the expense of American workers. Flawed existing trade deals need to be renegotiated. 4. Corruption in government. U.S. senators and representatives will be limited to two terms and barred from becoming lobbyists when they leave office. 5. H1-B and H2-B visas. These programs are regularly abused by U.S. companies willing to throw American workers under the bus in favor of lower-paid foreigners. These programs will be shelved until a time when an actual labor shortage arises. Radical Muslim terrorists in Pakistan bombed a park frequented by Christian families on Easter Sunday, killing 72 and injuring more than 300. Many of the dead were women and children. Muslim terrorists celebrated after the attack and promised more to come. Meanwhile, the president of the U.S. emphasizes his goal of bringing thousands more refugees from primarily Muslim countries into the U.S. As Jim Comey, director of the FBI, has stated, it is often impossible to check on the background of these individuals, since they are not in any database. Ladies and gentlemen, if you like the daily bombings occurring throughout the world and don’t mind if that activity becomes common here also, then please support the approach to immigration favored by President Obama, Hillary Clinton and U.S. Rep. Chellie Pingree. On the other hand, if you believe that our kids and families are precious, then I hope you’ll support Donald Trump, who has promised a temporary ban on allowing questionable individuals into the U.S. until we can do so safely. Dear Editor: The Democrats are very good at pointing out cases in which a company reaps private profits while dumping on the rest of the society its risks and the damages caused while making these profits. This is exactly what those who employ illegal immigrants are doing: They are reaping the benefits of employing cheap and compliant labor while the costs of having this labor in our country are dumped on all of us. Our builders are making huge profits, while the rest of us pay for the schooling and welfare of children who should not be here. If our companies are to be made to pay the true costs of their profits, then the employers of illegal immigrants should pay the true costs of their cheap labor force. This is only the tip of the iceberg. The reality is that many illegal immigrants are purposefully imported to work in illegal businesses set up by their families. These businesses pay wages that are way under the legal minimum and pay no taxes. How is any legitimate American business to compete under such unfair conditions? This is why legitimate American businesses in certain fields have been decimated and many more will go bankrupt as minimum wages are increased. If you want to have a good laugh at comical duplicity, observe how stringent our unions are regarding any intrusion by illegal Latino labor while voting Democrat. Unfortunately, the joke is on all of us. I’m an avid reader of the news. I constantly see references to and complaints about the tax code, our dysfunctional immigration system, crumbling infrastructure, healthcare and money spent on political campaigns, in addition to many other problems that the wealthiest country in the world should easily be able to fix. I’m convinced that the reason these problems persist is because the plutocrats who comprise the top 1 percent of the country in wealth and income and who own half of its assets profit from the status quo. This harms the well-being of the other 99 percent and in the long run is a serious danger to our democracy. The tax code and lobbying laws that greatly benefit the top 1 percent should be revised. This could provide a more even distribution of wealth, which would improve the standard of living for the rapidly shrinking middle class. If the middle class disappears, the United States may end up poor and corrupt like many of its southern neighbors. I wanted to comment on Rob Eshman’s assertion that there is “no illegal immigration crisis” (“Haters, Meet Najia,” April 15). As a primary care physician working with indigent patients including illegal immigrants, I can attest that there is a crisis in L.A. County health care. This is manifested by the long wait times for uninsured residents (legal and illegal) for specialist consultations and by the ability of the consultants to treat only certain problems, as they are overwhelmed by demand. That demand is exacerbated by illegal immigration. California’s generosity toward illegal immigrants keeps drawing them to the state, making planning social services difficult. Scott Reeder’s recent article supported the GOP establishment, leftists who despise America, ethnic advocates like La Raza, the Democratic party and selfish businessmen. Am I a fascist supporting ethnic cleansing because I respect the law? The Balkan disaster resulted from Yugoslavia, a “multicultural,” secular state, falling apart. Ethnic cleansing followed. Economic benefits? Is he referring to legal immigrants as entrepreneurs or illegal immigrants as criminals? If our economy grew 6 percent it may be due to 52 percent of legal immigrants being on welfare. Add to that 11-20 million current illegal immigrants. Reflect on family reunification policies and add tens of millions more. Go economy! The U.S. Government Accountability Office, reported that there were 296,000 incarcerated illegal immigrant in state prisons in 2011. I guess our economy grew as we built new prisons and hired more guards, lawyers and judges. Migrants make up 25 percent of federal prisoners. If Americans hired Americans, wages would probably be higher, thus growing our economy. I was “accidentally” born to a janitor father. Does that give me the right to take money from a child born of a more prosperous neighbor? Abuse of H-1B visas, manipulation of guilt and compassion, deceptive terms like nation of immigrants cannot be discussed here. Sorry. In a recent letter to the editor, Hayley Hohman wrote to condemn College Republicans and the decision to host a pro-Trump table in the CUB. 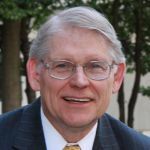 Hohman, you are wrong to call those concerned about illegal immigration "fear mongers." We support legal immigration. We disavow hate. And we support the American Dream – for Americans and those who come here legally. You are welcome to support moderate policies. I personally believe in the rule of law and strict enforcement of immigration policy, bringing in people who seek to contribute to our economy, and barring those who would break our laws, leech off our system, or do us harm – and the Republican platform agrees with me. It is not hateful to defend our borders. It is not hateful to want to protect American interests first, nor to refuse to bend over backward for open-borders globalism and allow illegal immigrants to flood our labor market, putting Americans out of work. I challenge you to demonstrate how defending American sovereignty is "hateful." I question how you can state that the pro-security "movement" is not Republican. The leading candidates, Donald Trump and Ted Cruz, both support building the wall. As WSU College Republicans (WSUCR) president, I work to increase awareness of all Republican candidates. Our board comprises supporters of many former Republican candidates. Since the event, we have seen an influx of interest. Dozens of students have come out of the shadows, thanking WSUCR for standing up for free speech and voicing support for conservatism on campus. I find the hypocrisy interesting that the media, the federal government and so many others are “outraged” at the recent events in Eastern Oregon involving the “Bundy Bunch” occupation of a wildlife refuge, while there is such limited “outrage” over President Obama’s absolute failure to enforce our immigration laws with equal vigor. Let’s look at the facts. Did the Bundy Bunch break the letter of the law with their occupation? Yes. Did it result in costs to the public? Yes. Were any public innocents killed? No. What was the size of terror? Limited. Let’s look at the Obama administration’s neglect to enforce our immigration laws in comparison. Was the letter of the law broken when Obama directed his agencies to not enforce existing immigration law? Yes. Did it result in costs to the public? Billions of dollars when you total up private as well as direct public costs. Were any public innocents killed? Thousands, when all the murders and vehicle accident casualties are counted, caused by the influx of illegal immigrants. This doesn’t even take into account the rapes and other criminal activity, nor does it include the casualties or costs caused by diseases brought into this country wholesale by the uncontrolled mass influx of illegals in recent years. Was terror created? Absolutely. While I don’t approve of anarchy in any form, whether by citizens revolting against the law, or the government itself failing to enforce the law, I hope whoever sits on the jury trials for the Bundy Bunch will take a page from our pre-Revolutionary history and refuse to find the Bundy Bunch guilty, just as our forefathers refused to convict people charged with crimes against King George’s laws. When government picks and chooses which laws to enforce, and against whom, we are no longer a free government of the people, but closer to the tyranny of King George. In my opinion, our Congress and federal attorney general are derelict to their oath of office for not finding our president guilty of not performing his duties as chief law enforcement officer under the Constitution regarding protecting our country’s borders, causing death, facilitating the spread of disease, and costing individual citizens and the public generally billions of dollars.